A long-time Madisonian, Faith Morledge, grew up near Spring Harbor – and was lucky to have Lake Mendota as her backyard. She raised her family in the Middleton/Waunakee community for over 25 years and now resides in the Westmorland neighborhood.. This outdoorsy gal enjoys biking the Monona Lake Loop, kayaking, fishing on Lake Wingra and hiking through the Pheasant Branch Conservancy. 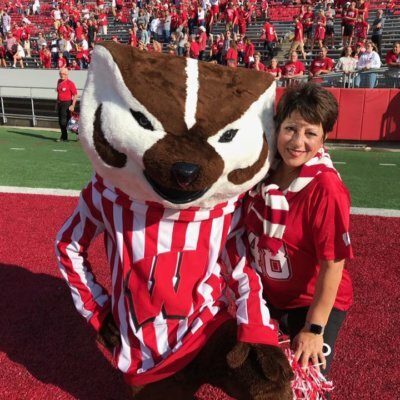 Throughout the year you’ll catch Faith shopping at the local Farmer’s Market, dining at her favorite eateries on Monroe Street or on the Bucky Wagon cheering at Badger football games. While Faith and her family now reside in Westmorland, she still holds a strong connection to the Middleton community and she keeps in touch with Waunakee residents through the church where her husband is a minister. So, if you see a white Subaru wagon drive by with a plate that says, “LUVAREV” just honk and wave hello!